Volvo is in a bit of a pickle. Although the , the majority of its new models are built in either Europe or China. New trade tariffs with China have made operations especially difficult for the carmaker, and that the company will have to shift production of its XC60 SUV. 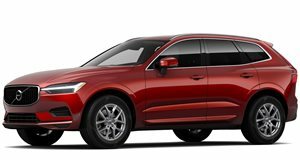 In order to get around the tariffs, Volvo will move production of US-bound XC60 models from China to Europe. Volvo , but US models are currently built in China. Speaking to Automotive News, Volvo CEO Hakan Samuelsson said "We will, of course, reshuffle here and take XC60s for the US from our factory in Europe, and let China produce for other markets," adding that the switch had already begun. Moving XC60 production back to Sweden will help Volvo avoid a 25% tariff on Chinese-built goods, though Volvo hasn't announced if it will do the same with the Chinese-built S90 sedan. US President Donald Trump is also looking to impose tariffs against Europe, so Volvo's efforts may only be a temporary solution. The easy answer here would be for Volvo to build more cars at its US plant in Charleston. Samuelsson said Volvo will "ramp up Charleston as fast as we can," but added that the company will join the lobbying effort against the tariffs because "they would be bad for the whole industry."